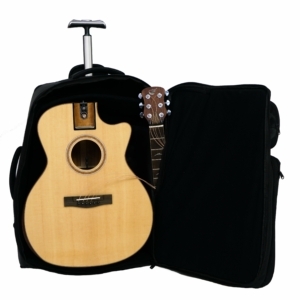 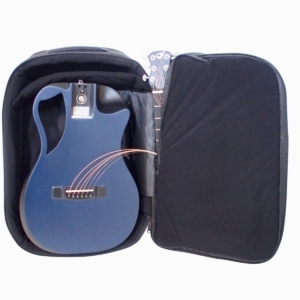 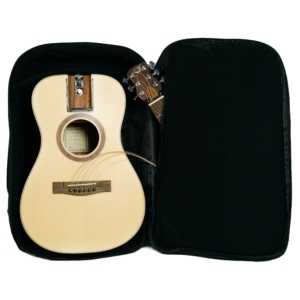 After packing in its travel backpack/roller bag the Overhead First Class travel guitar can be carried-on to most major airlines, easily fitting in larger overhead bin compartments such as those on Boeing 737, 747, Airbus A320 etc..
Travel case is made of 1680D nylon and includes a pull handle and wheels, a laptop compartment, a large accessory pouch, and a divided clothing/document pocket to carry clothing or performance gear. 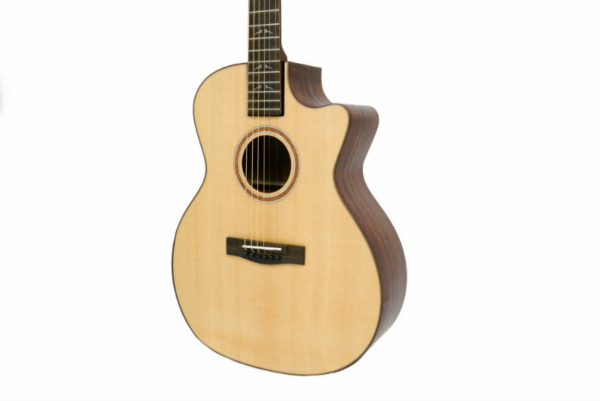 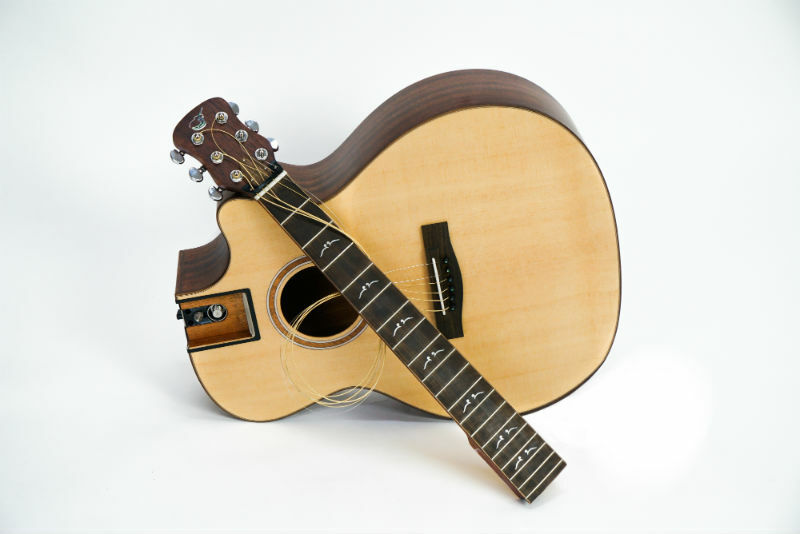 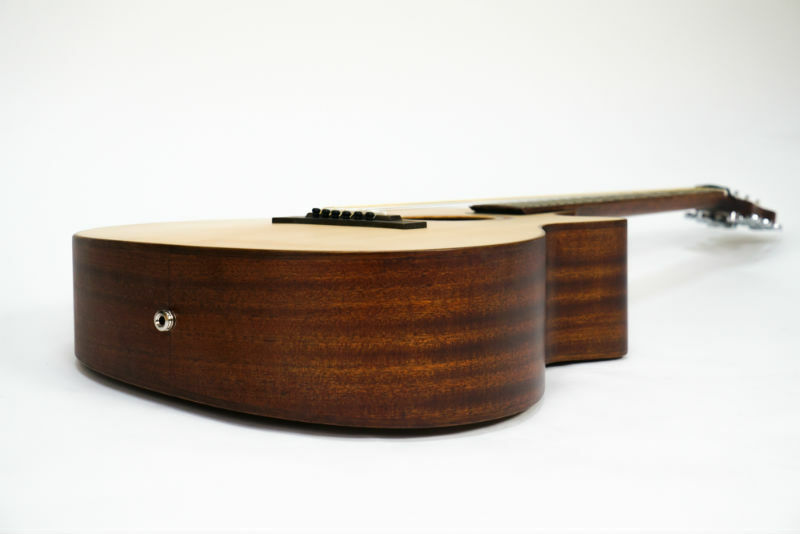 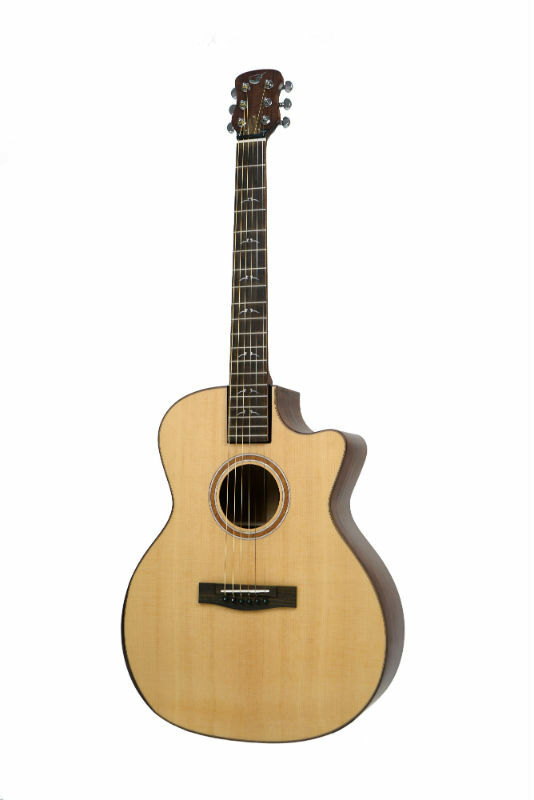 The wedge design gives a lower shoulder/bout depth that’s deeper than a dreadnought, allowing the GA body size to deliver volume and bass surpassing that of a standard GA guitar. Bone nut, carbon fiber neck reinforcement, compensated bone saddle, and ebony bridge pins all help produce the the tone preferred by acoustic guitarists. 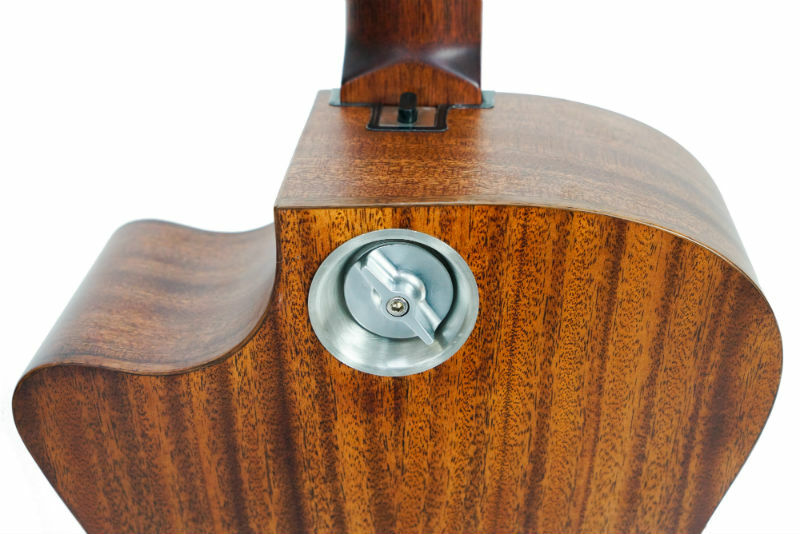 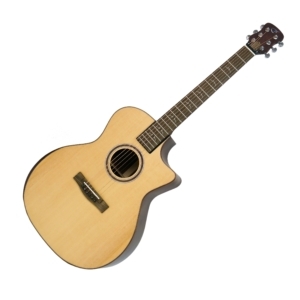 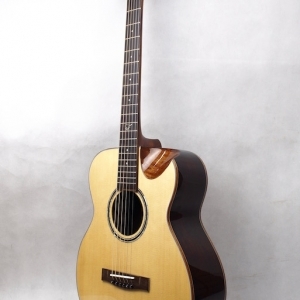 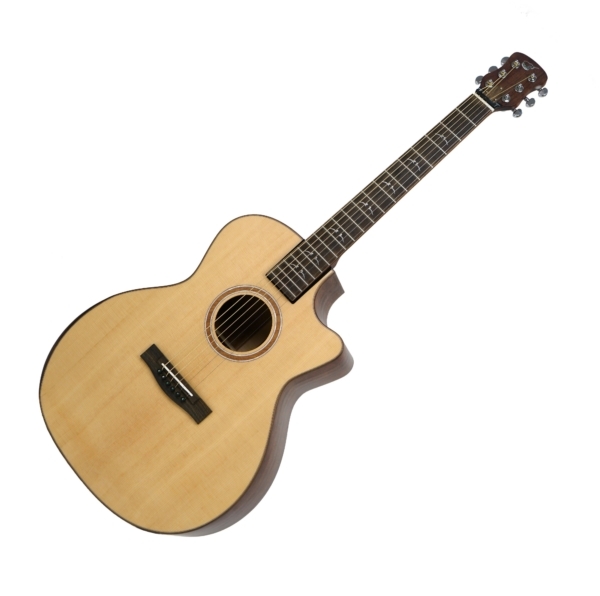 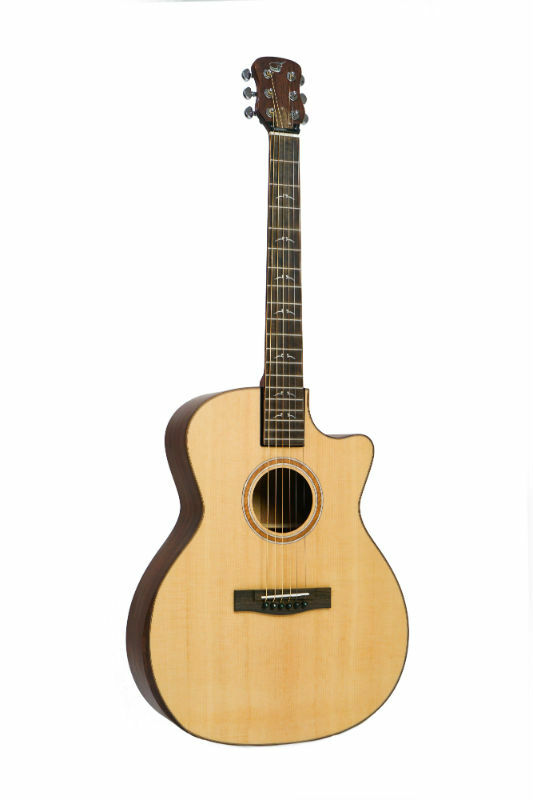 The armrest bevel makes this guitar super comfy to play without arm fatigue. 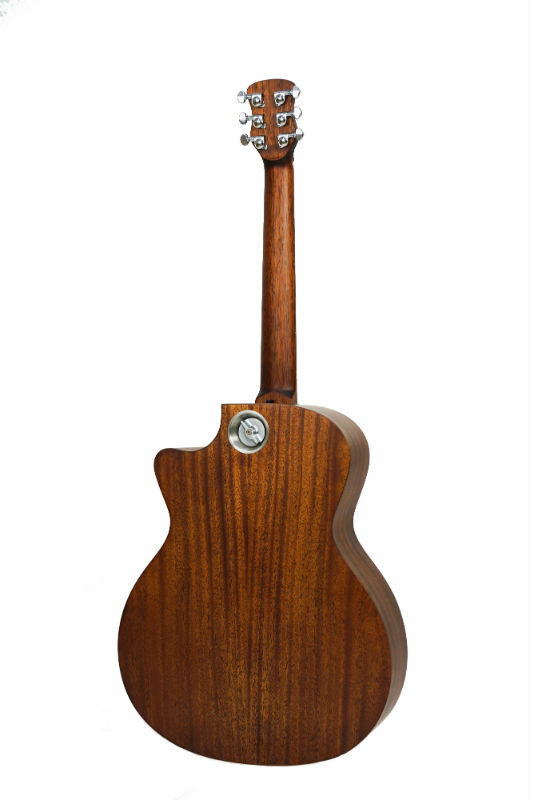 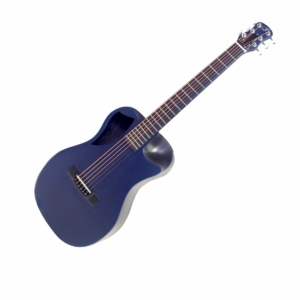 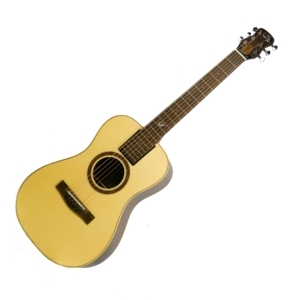 Satin-finish low-c profile neck make this 25.5 inch scale super-comfortable to play. 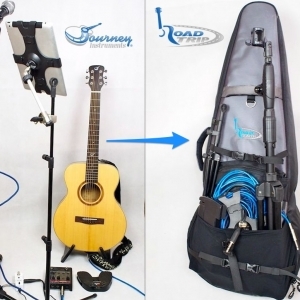 Steve Gibb playing FF412C by Journey Instruments.